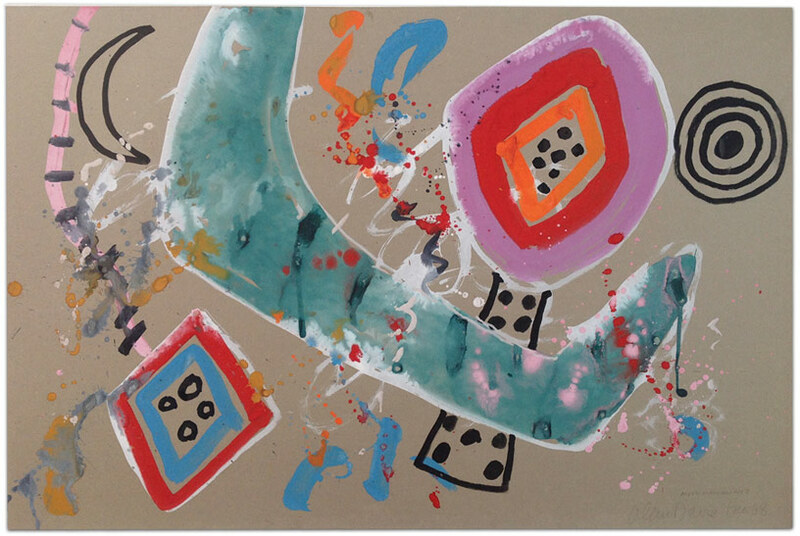 We’re delighted to be able to offer two terrific Alan Davie paintings in gouache and watercolour. They come from the same private collection where they have been for many decades, conveniently they are the same size and have the same simple silvered frame. Both are signed, dated and titled in pencil and are from his Moon Maiden series of 1968, the 60s being his most sought after period. 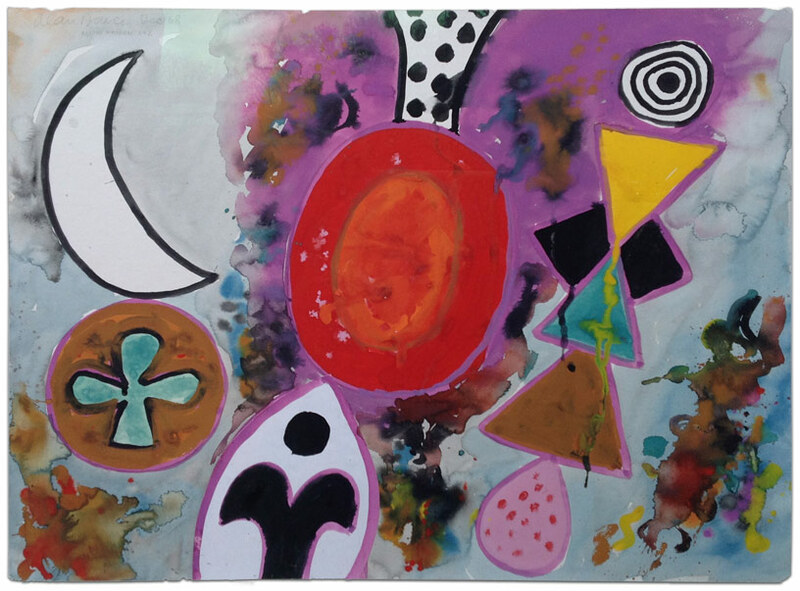 These large gouache pictures are painted with sparse shapes and symbols in unexpectedly bright, clear, jewel-like colours as (much of his work is more muted and with denser patterns) and they certainly have ‘the feel good’ factor! Davie’s work was highly acclaimed during his life time and he was frequently referred to as Scotland’s greatest contemporary artist. In 1967 Alan Bowness, a future Director of the Tate Gallery, said ‘Davie is among the major figures in the art of our time’ and his obituary in April 2014 The Daily Telegraph described him as ‘a superstar of British art, feted by Pollock, Rothko and Hockney.’ Encouraged by the likes of these artists, he had his first show in the US in New York in 1956 which was a sell out, with most of his pieces going to major institutions like MoMA.